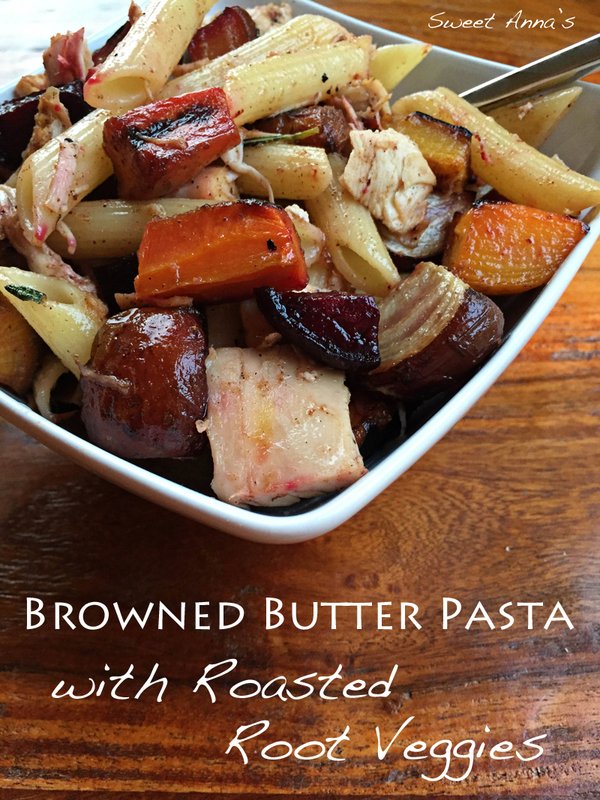 Browned butter, infused with fresh rosemary and tossed with a whole menagerie of roasted root veggies, pasta (and chicken if you’d like!). I’m telling you, it just doesn’t get much simpler or much more ‘comfort-food’ than this! 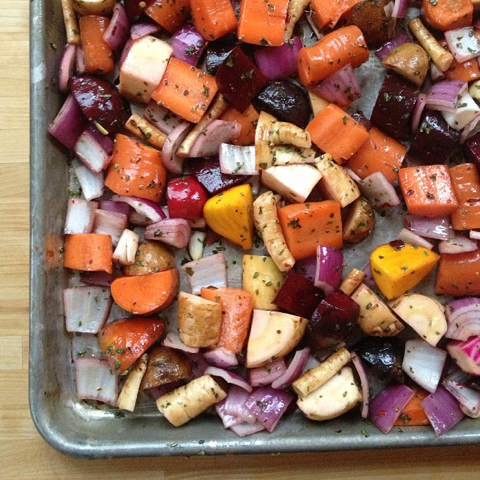 Our favorite little local farm store sells big grab bags of root veggies for roasting. It’s so much fun to get a variety of things we might not normally try and everything tastes so great roasted together! 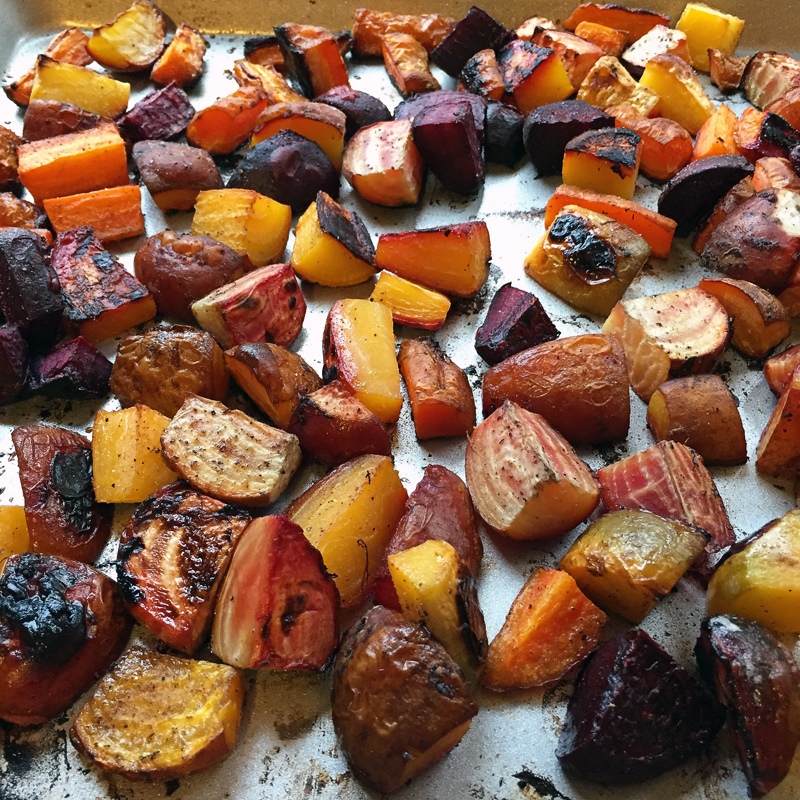 This last bag had carrots, purple and russet potatoes, red and golden beets and what I think are parsnips. :o) I added a big red onion and some garlic cloves and tossed it all in a good dose of garlic infused and regular olive oils, salt & pepper, and a bunch of fresh chopped rosemary. Of course, because I am a pasta addict – I boiled some penne and made a simple browned butter sauce to toss it all together with. So simple, so easy, and absolutely packed full of flavor. 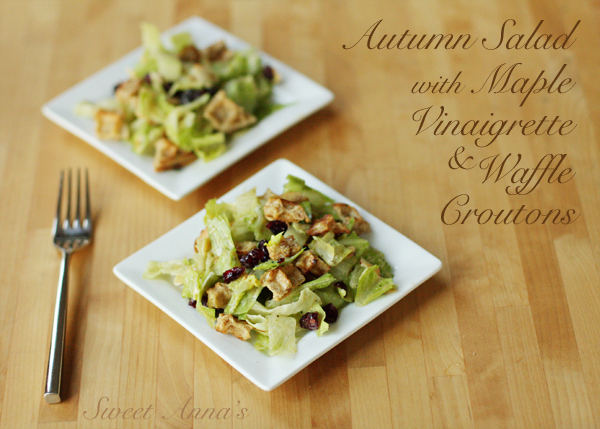 Serve this with freshly shaved or grated parmesan, if you’ve got some. We love it with and without! I’ve made this dish several times now, and it’s always a favorite, no matter how I mix it up. Sometimes I change up the herbs. Sometimes I skip the onions. Sometimes I add some leftover chicken, if I’ve got it on hand. 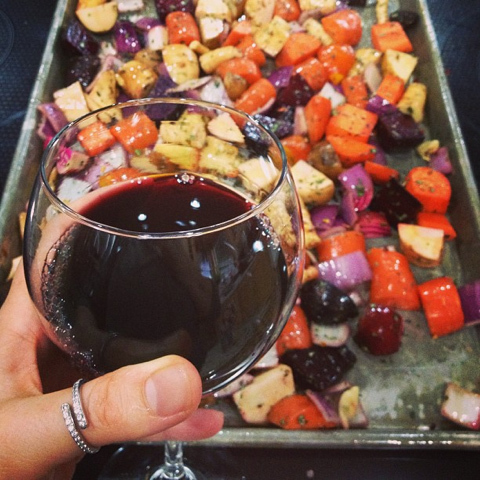 However you do it, roast up some veggies, cook some pasta, brown some butter and toss it all together and you’ve got an easy crowd-pleasing meal! Continue to cook, swirling occasionally until the butter starts to foam and then turn golden. Watch closely at this point, as it can burn easily. As soon as the butter looks nice and golden (here's where the light-colored skillet helps!) and smells very toasty and fragrant, pull it off the heat & stir in the rosemary. You guys!! I can’t even handle how excited I am about this sweet potato! I know, I know… it’s just a sweet potato. What’s the big deal, right? Well, here’s the big deal. I am not a huge sweet potato fan! Ok, so I adore my microwave sweet potato chips and that’s usually the extent of my homemade sweet potatoing. I will also rarely say no to a plate of crispy sweet potato fries with ranch to dip them in, and I do enjoy them in a sweet & spicy curry (like this Sweet Potato Coconut Chicken Curry!) but beyond that, they just sit in my cupboard in their giant Costco bag until they slowly get chipped up or tossed away eventually. 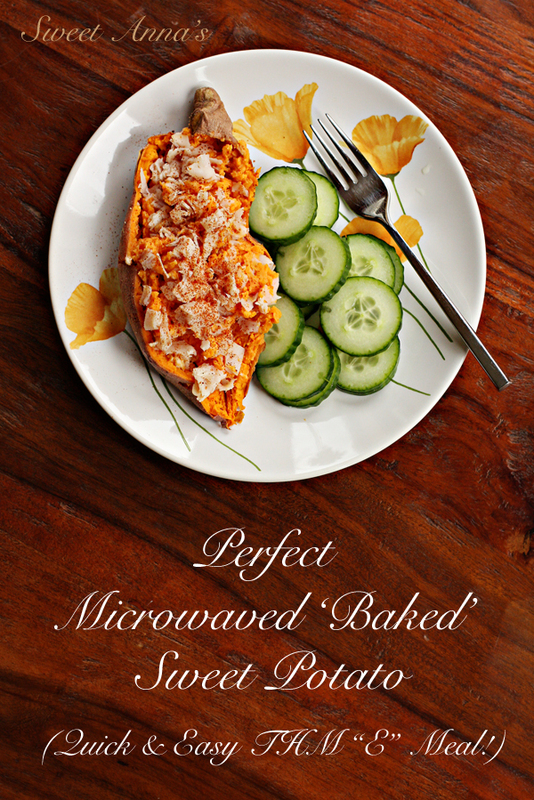 Today, I decided to try a microwaved ‘baked’ sweet potato. I wasn’t expecting much, but a quick filling lunch that was ‘tolerable’. What I got was pure bliss! A sweet, creamy, spicy, flavorful, low-fat, gluten-free and protein-packed lunch that was so good, I was sad when it was over.